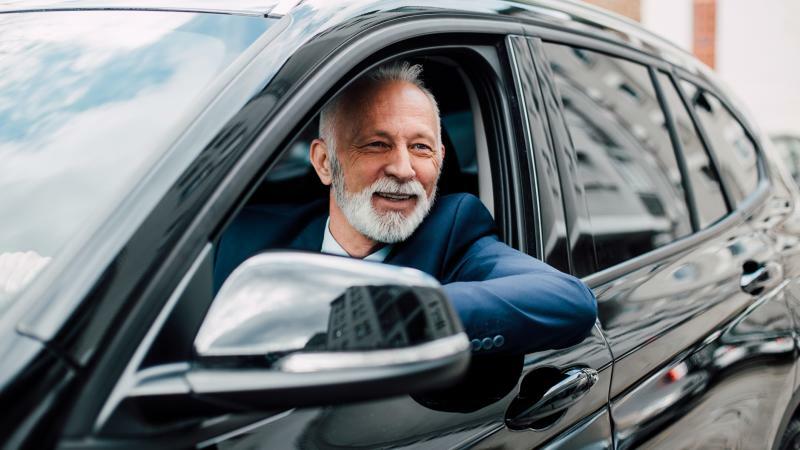 Luxury cars offer a premium driving experience that seniors are sure to enjoy – and surprisingly, luxury cars can be had at prices that won’t break the bank. Now more than ever, there is an array of luxury makes and models on the market that combines comfort, and refined performance with proven advance safety features, making them perfect for senior drivers. If you’re a senior who enjoys the finer things in life, now is the best time to consider buying a luxury car. If you’re looking for a car or SUV that provides the ultimate driving experience, check out these – the best 2019 luxury cars for seniors. If you’re looking for luxury, this top-of-the-line crossover is sure to get you noticed. The 2019 Porsche Cayenne1 crossover combines style and comfort, and it’s also the perfect midsize crossover for seniors. First, the new cabin air filter system features air circulation detection, so you can be sure that you’re not breathing in any harmful chemicals or bacteria – talk about a “fresh” ride. Next, all models come standard with all-wheel drive (AWD), so you can feel confident driving in inclement weather. The eight-way power adjustable front seats will help you get in and out of the vehicle with ease. 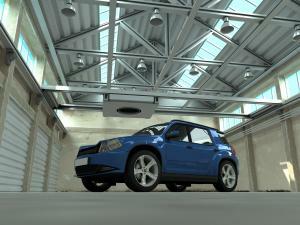 And the 360-degree view camera system and parking sensor will help to assist when parking in tight spaces. As for safety features, the 2018 Porsche Cayenne has the option of choosing Porsche Active Safe (PAS), a system that is great for senior drivers – it combines adaptive cruise control, automatic emergency braking, and forward collision warning. The 2019 Buick Enclave is all new. This full-size, three-row luxury crossover is sure to fit all the grandkids. This vehicle includes the intelligent AWD system – you’ll be ready to drive through anything mother nature has coming. Standard features include LED taillights that are perfect for night driving, keyless entry and push-button start (so you’ll never forget where you’ve put your keys), and tri-zone climate control, among many others. Though the Buick Enclave hasn’t yet received a safety rating from the NHTSA, it’s important to know that the Enclave rides on the same wheelbase chassis as the 2017 Chevrolet Traverse, which has received a five-star overall rating – Motortrend2 predicts the new Enclave will have similar results. Cadillac has added more features to its 2019 XT53 that are sure to provide a comfortable and smooth ride – plus the automatic heated steering wheel is a nice touch for chilly mornings. Seniors will love the rearview camera mirror, which is easy to use and offers an option to switch the display to show what’s behind the vehicle for extra visibility. The XT5 is well equipped with power tilt and telescoping steering that makes for easy and sharp handling. The XT5 with AWD has been rated as a top safety pick by the NHTSA. The Diver Awareness package (available on lower trims) is sure to put seniors’ minds at ease – some of the safety features include forward collision alert, following distance indicator, lane keeping assist with lane departure warning and front pedestrian detection. And the Driver Assist package (on Premium Luxury and Platinum models) includes automatic seat belt tightening, automatic park assist (self-parking system), front and rear automatic braking, and adaptive cruise control with full-range speed capabilities. Seniors may also like the 2019 Cadillac CTS model4, which offers a quiet and comfortable interior. The CTS comes standard with eight-way adjustable front leatherette trimmed front seats, remote engine start, dual-zone climate control, and a camera for parking assist. Seniors may want to consider the CTS Premium Luxury because the Magnetic Ride Control performance braking and steering system allows for better handling, especially in inclement weather. Seniors will be happy to hear that the CTS has received a five-star over safety rating from the NHTSA for both the rear-wheel and AWD models. The Driver Awareness package (standard on the Luxury Premium model) offers blind-spot monitoring, lane change alert, keep assist and lane departure warning. Other features include forward collision warning, rear cross-traffic alert, and rain-sensing windshield – among many others. The Lexus ES5 is a top pick for seniors – not only does it offer a spacious interior, but the active safety features come standard on all models including the ES 300 hybrid and the ES 350 V-6. The Lexus ES models include keyless entry and push-button start, 10-way power adjustable seats that’s a plus for getting in and out of the vehicle safely. Other options include an easy to use navigation screen, heated and ventilated front seats, power-operated trunk and more. The 2019 Lexus ES has received a five-star overall safety rating and comes standard with Lexus Safety System + safety suite – which combines forward collision warning, automatic braking, pedestrian detection, high beam assist, and adaptive cruise control. Seniors can also opt for the blind spot warning and rear cross-traffic alert for added safety. 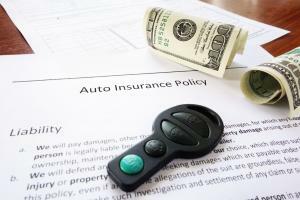 Now more so than ever, new car buyers will benefit from incentives offered by dealers who need to sell luxury cars, crossovers, and SUVs sitting on their lots. Whether you’re looking for a luxury midsize car that’s easy to handle or a full-size luxury SUV with the latest in safety, incentives and deals on some of the best options for seniors are emerging now. Cadillac is currently offering up to $2,000 in incentives on the XT5 and offering qualified buyers 0 percent APR for the CTS according to Edmunds6. Lexus is offering up to $1,000 in incentives on both the ES 350 and the ES 300 hybrid. These are just a few of the deals available. 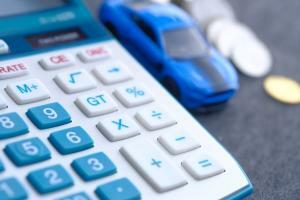 Luxury vehicle incentives change each month, which is why it’s smart to search before you buy and compare different pricing and offers. If you’re interested in the best luxury cars and SUVs available for senior drivers, start a search today.